I wanted to do something different than stockings this year. 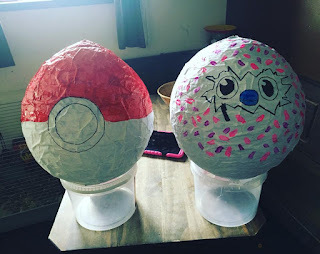 Lexie showed me the huge surprise eggs on YouTube and they come in all different patterns and sizes. 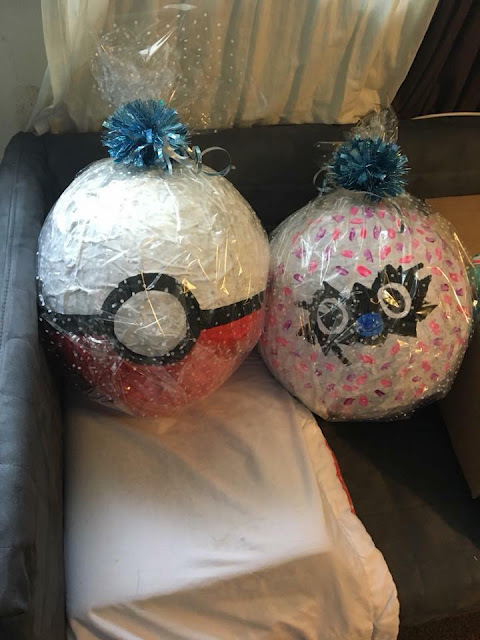 So this year I decided to make two of my own and fill them with what I would of popped in their stockings this year. First of all you need a big balloon, I got the 3ft one off eBay for 99p each. They took around 3 weeks to arrive. I blew the balloon up then started to cover the balloon with large strips of newspaper that had been dipped in glue which I had mixed with water. I did half water half glue mixture. 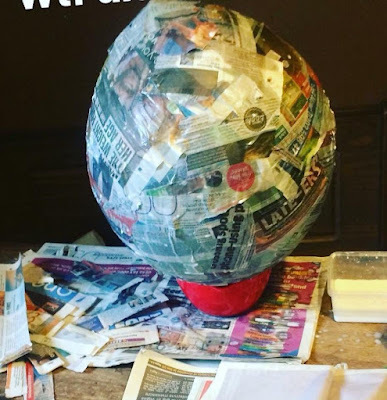 I layered around 6 times, it got a bit confusing after a while, so I think if I do it again I will use newspaper then another colour paper so I know I’m fully covering it. I left to dry for around 5 days until it was hard. Then I covered again in white paper strips and glue and left to dry again. Once fully dry pop the balloon and pull out. With it being already white it was easier to paint over rather than having to coat it with lots of white paint. 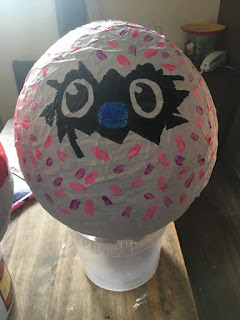 I only needed one coat of white paint to cover the whole egg. Leave to dry again for 24/48 hours. I drew the designs in pencil, then once I was happy I went over in permanent maker then started to paint each design. Then once painted leave to dry again. 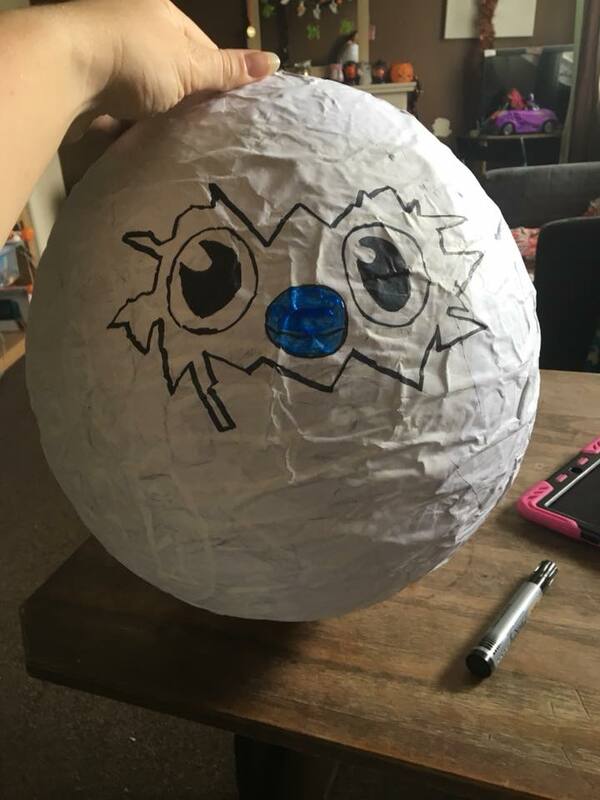 To get the items inside I made a flap where the balloon hole was, once I got everything inside. I covered the hole with a couple of strips of white paper, so it was sealed. Then I wrapped in cellophane and popped on a bow. Total cost £5.99 for 2.